Celebrity Cruises has provided an update of their new class cruise ship the Celebrity Edge. The ship is in the final stages of outfitting all the interior spaces. In a new video, we get all the latest details. 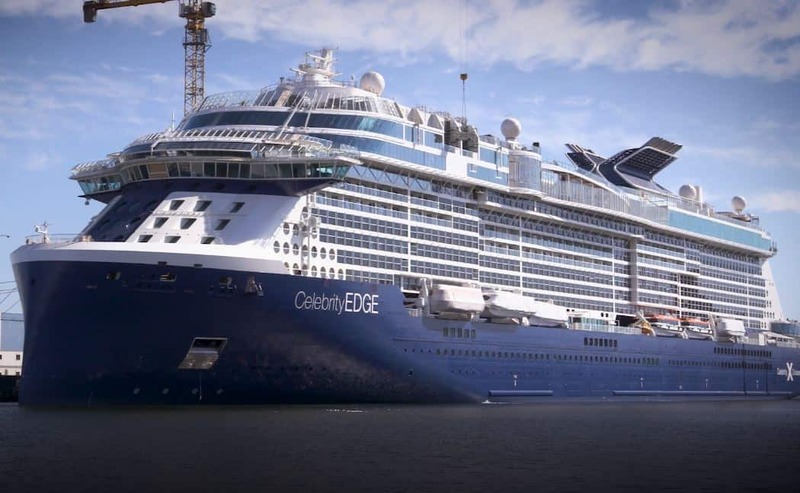 Celebrity Edge will take the cruise line into a new era as the first ship in her class bring new innovations and features not just to the fleet but to the industry. Celebrity Cruises is keeping us updated as we get closer to the ship’s debut in December. Very soon the first crew members will begin to arrive at the shipyard. They will start setting up their departments and many of them will come from their vacation or transferred from another Celebrity ship. A lot of work has gone into bringing new features for Celebrity Edge which you can learn more about here. Celebrity Edge is 117,000 gross tons and once in service, the guest capacity will be 2,900. Another sister ship named Celebrity Apex will arrive in 2020 and then another two in 2021 and 2022.